Being reported as one of the players who could also leave Inter Milan this summer, Diego Milito, squashed the reports by stating his intention in staying with the Nerazzurri even though he might not be playing again with Samuel Eto’o. Not only being calm about the current situation, Milito also approves the potential Eto’o replacements being rumored the media such as Carlos Tevez and also Ezequiel Lavezzi, who are both his colleagues on the Argentina national team. Moreover, confirming about his status at Inter, Milito also denied rumors saying that he will be returning to his former club Genoa this summer, stating that he want to finish his contract which still has three more years to run. The Argentinian international simply have only one ambition at the moment, which is giving his best to achieve something positive in the upcoming season with the Nerazzurri. “I still have three years to run on my contract and I’m happy. I heard the Genoa rumour and although you never know what can happen in football, I’m an Inter player. I hope to have a great season alongside my teammates,” Milito added. 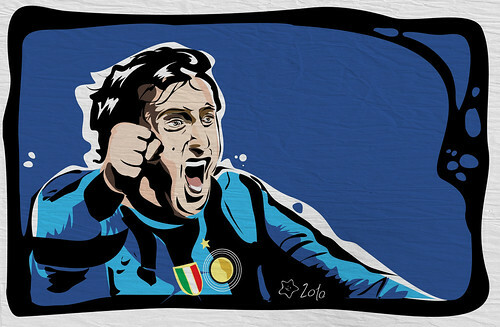 Milito, who was considered as one of the main actors that helped Jose Mourinho’s Inter achieving treble, had a major dip of form last season, scoring only eight goals out of 32 appearances in all competition with the Nerazzurri. The striker can pretty much argue that injuries were the one holding him back, as he did spent much of his 2010-2011 season in the treatment room rather than on the pitch, although the fact that his also aging could also be counted as part of the problems.